The International Institute of Knowledge management (TIIKM) always give the maximum facilities for the conference participants. Therefore TIIKM always chooses finest star class hotels in the country for conferences. The conference venue of 5th International Conference on Education 2019(ICEDU 2019) is Seri Pacific Hotel Kuala Lumpur. This hotel is one of the most recognized hotels in Malaysia which is situated heart of the city of Kuala Lumpur. It’s only an Hour drive from Kuala Lumpur international Airport to the Hotel. Seri Pacific Hotel Kuala Lumpur is a 5 star business hotel in Kuala Lumpur. Featuring 560 rooms including suites and Club rooms, Seri Pacific Hotel Kuala Lumpur is an exceptional hotel with a level of hospitality that goes beyond your normal range of luxurious hotel. All rooms are fitted with modern amenities that will make your accommodation in Kuala Lumpur a comfortable one. Whether you’re in Malaysia for business, a romantic break, honeymoon or the holiday-of-a-lifetime with the family, our rooms at Seri Pacific Hotel Kuala Lumpur have everything you need for a relaxing and comfortable stay. The restaurants and bars at Seri Pacific Hotel Kuala Lumpur offer a huge range of cuisine and dining options, whether you’re entertaining business associates, enjoying a quiet dinner for two, or feeding the entire family. Equipped with an extensive range of conveniences suited to meet the most demanding of discerning guest, the Seri Pacific Hotel Kuala Lumpur serves up nothing but the finest. You deserves the best services from us. 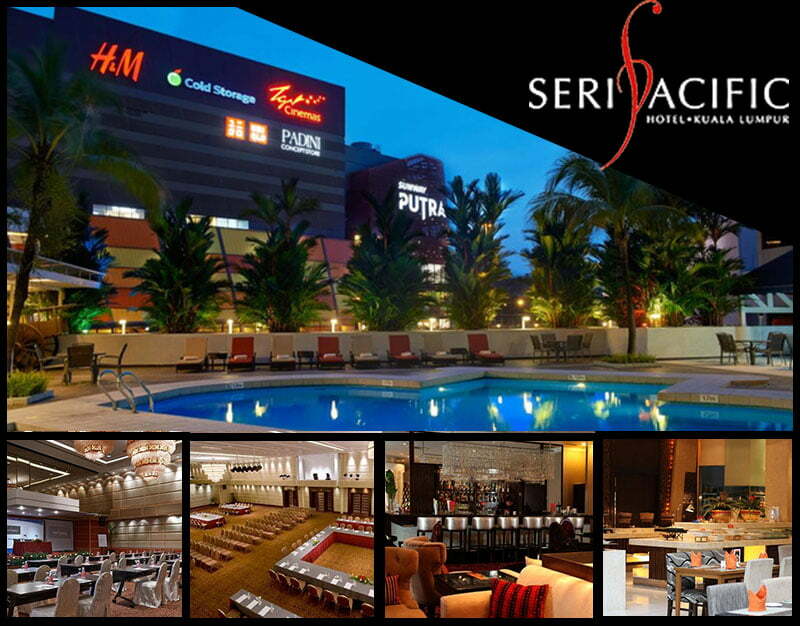 Now you can easily book a room in Seri Pacific Hotel Kuala Lumpur for the conference period. Conference official tour and Accommodation partner Globeenjoy will help you to make this more comfortable. Globeenjoy internationally trusted tour and Destination Management Company which have more than 100 conferences related tour and accommodation management experience. You will be safer hands with Globeenjoy. Even TIIKM as the conference organizers will support you for any query.